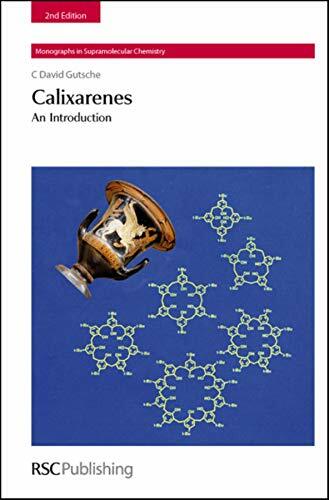 Calixarenes An Introduction: 9780854042586 Hardcover - LIMEROCK BOOKS INC.
Calixarenes was the first book to be published in the `Monographs in Supramolecular Chemistry' series and is also the first complete survey available of this rapidly developing field. It provides a fascinating and lively account of the history, development and applications of calixarenes, which are probably the world's most readily available synthetic molecular baskets. These basket shaped compounds possess the ability to hold metal ions, as well as molecules, in their interior and as a result of their extraordinarily easy synthesis from phenols and aldehydes are receiving increasingly wide attention. This book is a must for advanced undergraduates and post-graduates studying bio-organic and supramolecular chemistry. Calixarenes are probably the World's most readily available synthetic molecular baskets.These basket shaped compounds possess the ability to hold metal ions, as well as molecules, in their interior and as a result of their extraordinarily easy synthesis from phenols and aldehydes are receiving increasingly wide attention. This book is a second edition of the popular title and a must for advanced undergraduates and postgraduates studying bio-organic and supramolecular chemistry.